Sri Lanka – a visitor’s delight! Going on your first International trip always gives you goose-bumps (I’m sure many of you would vouch for that) and I’m no different. The planning began three months back when a colleague suggested that we go there for the T20 World Cup. Pre-planning included many things like booking tickets for the ICC World T20, looking at places to stay, what to see and other routine stuff that one would do before going on a vacation. Thankfully I wasn’t the one who was handling all that – my colleague did. Once all those mundane stuff was out of the way it was time to head to Sri Lanka. Before that though, a couple of sleepless nights were endured, anticipating what one might do there. There were a lot of shopping requests from various people which needed to be kept in mind. And there was one’s own list of ‘what-to-do’ to be taken care of as well. Our flight was from Chennai to Colombo – a small matter of just 70 minutes, but what a 70 minutes it was. To see the flight cross the Indian Ocean when we were mid-air was a sight to behold. Watching it from the flight window gave me a different thrill. But the journey time was too less and in no time we were at the Bandaranaike International airport. As soon as we landed in Colombo, we got to experience the hospitality of the locals. We had heard stories of how nice they were and their fun-loving nature through various outlets, but here we were actually experiencing it. Right from the cab drivers, to the tuk-tuk walas, to the staff at the hotel – we didn’t encounter a single moment which we would regret later. In a funny sort of way, almost all the locals have their names which matched that of a cricketer. 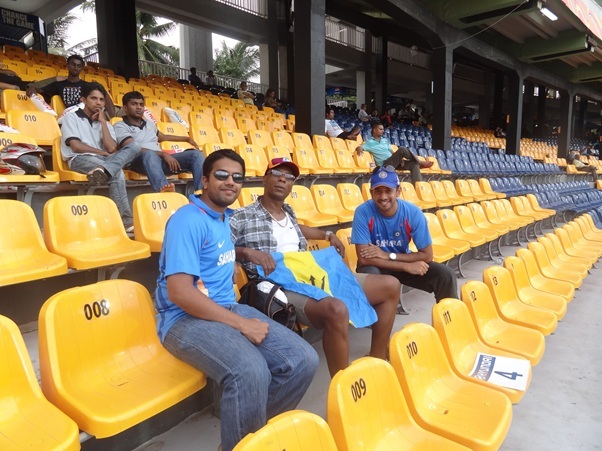 We had Hathurasinghe Premawardene who handled our transport service, Indika Sampath was our cab driver, we met Eranga Lakmal a volunteer at the stadium – who said that Suranga Lakmal was from the same village he had come from. Even when we went to eat, we came across Chaminda at Pizza Hut. India-Pakistan Super Eight match at the R. Premadasa stadium was memorable. If that was a strange coincidence, then the generosity and the soft nature of the local people completely floored us. Just to give an example, the tuk-tuk driver who had to drop us at Premadasa, lost his way and took us to SSC initially. To compound matters, the tuk-tuk meter stopped working as well. Seeing our anxious faces, he assured us that he won’t charge anything extra and he kept his word despite losing some money. Not only were the locals honest, but they follow all the traffic rules. We were surprised when we saw them stop at Zebra crossings to allow the pedestrians to walk to the other side. We told them this never happens in India and they were surprised. If following traffic rules was their duty, then every driver should get a 10 in my book. And once you told them that you were from a foreign land, their respect and treatment increases. That’s what was so pleasing to see. And since all Sri Lankans are cricket crazy, starting a conversation about cricket seemed to be a good idea and boy do the locals know their cricket or what! Every one seemed to know the game, its culture, the history and one even corrected me when I wrongly mentioned that Sangakkara had studied in Colombo. He was quick to point out, ‘Sangakkara studied in Trinity College at Kandy sir’. Wherever we went, be it Colombo, Galle or Udawalawe, the treatment offered by the locals made the journey memorable. There was always a helping hand, an advice and a quick clarification of your doubts though at times the English language and our Indian accent was difficult to comprehend for the concerned person. We met many crazy cricket fans inside the stadium and though we were surprised to see so many people being anti-India, it was all done in a jolly and good-natured way. There was no hint of malice or prejudice in their trolling and once the game got over, it was back to being friends again as they willingly came forward to have a chat and take a couple of pics with us. Along the journey, got to meet a lot of interesting characters as well and made a lot of good friends, some of whom even offered us their contact details. Having experienced the warmth and the hospitality of the Lankans, it would take a very hard man not to love them and I’m certainly not one of them. Our journey started from Colombo where we were based in Mount Lavinia at the lovely Royal Berjaya Hotel. It was a three star accommodation with a beach view. Just open the window and there it was – the beach right in front of your eyes with the railway track in front of it. The first couple of days were spent in Colombo, checking out places like ODEL, Cricket Club Cafe, Gallery Cafe, Barefoot and Cleopatra. One had heard a lot about Cricket Club Cafe and it was truly a special place. One could see lots of memorabilia on the walls and some rare photographs which included Sir Don as well. The atmosphere inside was calm, serene and the perfect way to watch a live game on TV with lots of food and drink options to while away your time. The place is run by two Australians and a must visit for any cricket fan who is going to Colombo. With the shopping and the local places almost complete, we decided to spend a few peaceful moments at Galle Sea Face – Colombo’s Marine Drive, if you may call it. The place is famous to watch the sunset in the evening but we went there in the afternoon, still it was a fab experience. Once that was done as well, we decided to head to Galle to check out lots of impressive stuff we had heard about the place. Romesh Kaluwitharana’s private getaway Kalu’s Hideaway in the middle of the jungles is spectacular. Must say that Galle didn’t disappoint at all. The Galle International Stadium was our destination and after a quick stopover we headed to the Galle Fort. The Fort is amazing for its architecture and its scenic beauty. There are nice places to shop and some pretty old but well maintained museums and an old DutchChurch. We had the opportunity to meet Stuart Law inside the fort and also see the Aussie women’s team. The highlight though of the Fort experience was to pose with the Python around the neck. If anyone is visiting the Fort, that is one thing one shouldn’t miss out on. After the Fort was done, we wanted to head to Mirissa beach which was on our to-do list, but unfortunately it was already late evening and we decided against going there. The next day saw us going to Udawalawe – a forest area – to check in at Kalu’s Hideaway, managed by Romesh Kaluwitharana himself. And what a place it was as well! Stunning, beautiful and so peaceful – right in the middle of the forest. The perfect getaway if one is on a honeymoon. Brilliantly managed by Kalu and Co. There was still a safari to complete in the morning and we managed to get a glimpse of a couple of wild Elephants, peacocks, a wild fowl, an Iguana and a green snake. With the safari out of the way it was time to pack our bags and head back to Colombo. Amongst all the places that we visited in Sri Lanka, Udawalawe and Kalu’s resort stand out for its natural beauty. Mind you, Colombo is not far behind – it’s a great city with lots of nice places and it’s very cosmopolitan too. Before our trip was done, we were so acquainted with Colombo that one could remember the areas with pincodes. Must say Colombo is an easy place to remember with lots of cleanliness to boot and not many tricky criss-crossing lanes. Those who have gone to watch a match in India at the stadium know how difficult and tiresome a journey it can be. Even a water bottle isn’t allowed whereas the live experience is completely the opposite in Sri Lanka. Forget about water bottles, everything is allowed including beer. That’s how it should be as well and a perhaps something for the Indian authorities to take note of. But before getting in, everything was screened and checked properly before one was allowed entry. 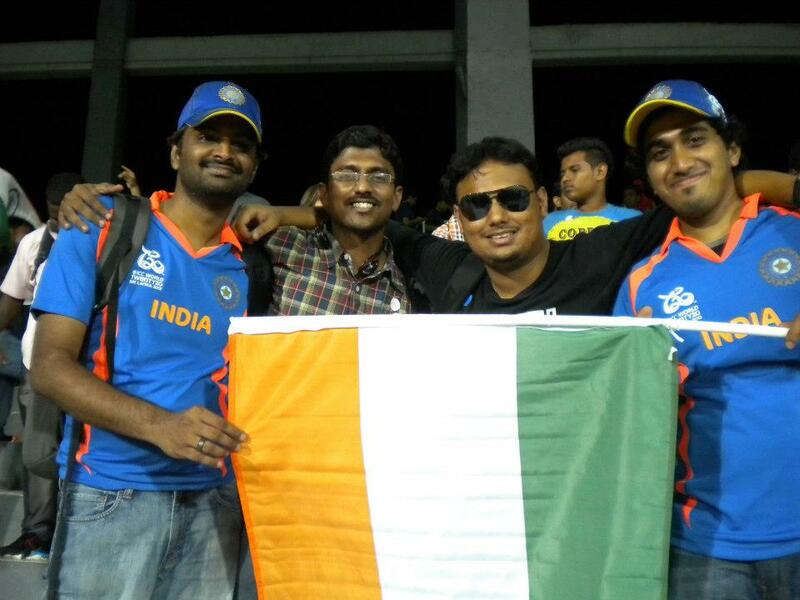 We went to three of India’s Super Eight games and inevitably it was the game against Pakistan that we enjoyed the most. The atmosphere at the Stadium was simply electric as Ravi Shastri would put it. What surprised us though was the amount of locals who had turned up to watch a non-Sri Lanka game. The support was heavily one-sided with lots of locals putting their weight behind Pakistan. But we had the final say and that gave us a lot of pleasure. It was also nice to meet a couple of Englishmen who were rooting for us and were sitting right behind us. The Brit was in his elements and he certainly made a few heads turn with his antics. As I had mentioned earlier, the locals wanted to see India out of the tournament and once they saw us in an Indian Jersey, the trolling would get even more louder. During the game against South Africa, they began singing, ‘go back home’ repeatedly and it only got louder once we were eliminated. All in good humor though and nothing worrisome about it at all. In fact one must say that one enjoyed the little banter. The locals for sure made the cricket watching experience wonderful and though I had seen games live in India at Bangalore, one has to see a game live at the Premadasa to get a real thrill. For the Sri Lankans, cricket is a carnival and they don’t care about the result. All they want is fun and they make sure they elevate the atmosphere inside the stadium to another level. Though India failed to reach the semi-finals, it was well worth watching the three Super Eight games and one doesn’t have any regrets about the cricket. To summarise the trip in a few lines would be difficult, but Sri Lanka is a place one should visit at least once for its lovely people and its beautiful natural scenery. Thoroughly enjoyed the 6 days spent there and had some amazing moments. Made a lot of friends and got bowled over by the locals. In short, Sri Lanka was just wonderful. Sthutee Sri Lanka! Cricket at the highest level is – beyond all – a game played in the mind. Something about choking lingers longer and haunts South Africans still. Their captain even admitted to it recently. Such are the mental scars. Apparently, after the first ball of the ICC World Cup in ’07, Chaminda Vaas confided to fearing the worst as Gilchrist laced an off-drive to the cover fielder. 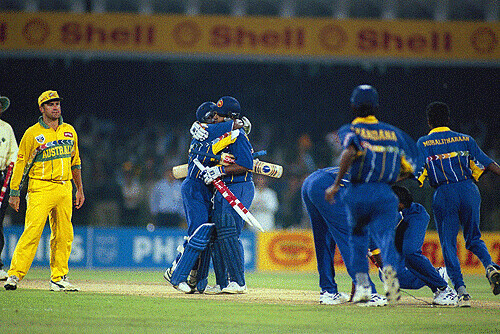 Since the incident Sri Lankans have reached the final stages regularly only to be pipped at the crossing-line. It can seem the most difficult thing to shake off such defeats. Some resign to defeat and some overcome those challenges. Just ask Andy Murray. The issues with not being able to cross the final hurdle might have been dusted away in slight by its captain, but, it must rankle the team and the management after being so close so often. Often they have run in to towering players at their pinnacle. Gilchrist at Kensington Oval, Afridi at Lord’s and Dhoni at Wankhede. Their champions have soared too, but just not as high. After all, it is difficult to imagine a more pristine or dominating innings than Mahela’s in a cup final. Still Murali being taken apart in ’07 and Malinga in ’11 eventually hurt their chances. They were billed as among the favourites before this tournament began. They have waded through the silliness of a seven-over caper, the thrills of a Super Over and the disappointment of not being able to play at their preferred venues. Their batting at times has looked top-heavy, but their slew of big-hitting all-rounders is proving to be their biggest strength yet. Mahela has handled his resources quite shrewdly. His batting form will also hold key for the hosts’ victory bid. He knows that with the tournament moving back to familiar territory at the Premadasa, this might yet be their best chance to get past the final hurdle. Form and reputation count for little in this format. Pakistan has shown Australia that the mighty can fall, and India shows Pakistan that enough pressure can crush any opposition. All the four teams will believe they have a chance to win the cup. Sri Lanka will believe that with their nemesis India out of its way their time might already have come. The little island can be proud of the quality and originality of the cricketers it produces though the game is still politically shrouded with miscreants with personal interests at heart. True to their tradition, they have unearthed a talented mystery spinner – who seems to be made of the right stuff at first look – on whose flick of the fingers might reside their chances of the world cup itself. Criticized for being more a model than a cricketer and as seen more interested in IPL than his country, Malinga would be keen to carry his form from the last game in to the knock outs to prove a point to his detractors. Mahela and Co. might well believe that their time has come to set it right. Mahela might be the shrewder captain to the hegemony of Arjuna; Sangakkara the greater batsman to Aravinda’s flashes of genius, thrill, sizzle and fizzle; yet, till the mountain the scaled and peak captured, Mahela and team will remain bridesmaids to the ’96 champions. All administrators I have met in Sri Lanka – Sri Lankan or otherwise – were much relieved when Afghanisthan gave India only a scare but nothing more. India’s fortunes in the tournament seems to have a direct impact on the success or failure of the tournament – read the 2007 and 2011 ICC World Cups respectively – according to a well placed administrator. Compared to the ICC World Cups, the World T20s seem to hedge their investments better. A third of the tournament is spent playing games only when the rest of the world is sure of which eight will move on to the next round. And by the time eight becomes four, three-quarters of the tournament is done and the tournament is not a financial disaster anymore. 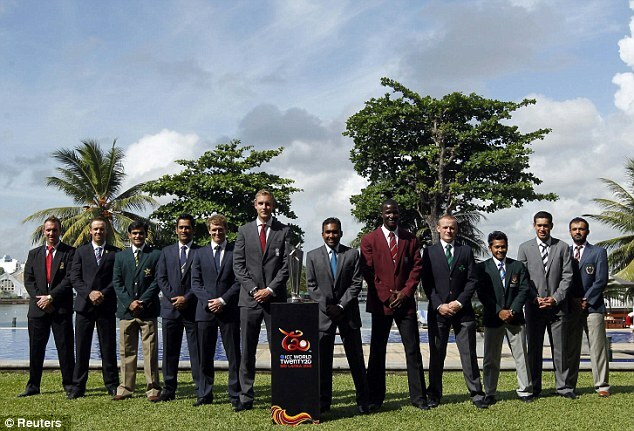 One-day world cups with a bigger spread, either fall or rise with India’s fortunes. The various T20 leagues that have mushroomed are seen to be deterrents to the other two forms of the game. The calendar is packed with these through the year and around the world. And, yes, corruption seems to walk hand-in-hand with these T20 leagues. Strong administration and policing will eventually decide the integrity of these leagues as will strong counseling of players by self, player associations and home boards. But corruption and greed in cricket cannot be restricted to the T20 timeline alone, for they have hampered the game for centuries. But to its credit, T20 cricket has restored some parity in to cricket. Not long ago, it would be an exercise in patience to sit through a cricket match in India. The facilities and treatment of the fans in the grounds are among the poorest. Still, people paid vast monies to sit through the charade of concrete footsteps for seats, boundary placards for shade from scorching heat, thundering rains and bird-waste. And public toilets were, err, open dumps of waste. T20 cricket has perhaps not changed all that, but it has changed things for the better. The game lasts shorter and the misery of the fan lasts shorter. Also, leagues and team owners seem to have taken the extra effort to improve the facilities to bring more people in even as they milk the money from the gate collection as cricket increasingly becomes a television sport. That said, the administrators still care more for the money than for spectator comfort, but it is much better than what it was this time a decade ago. Women and children flock to T20 cricket and in it remains T20 cricket’s biggest triumph. Often Sunday cricket practices include a short game of 20 overs-a-side where the parents watch their wards perform in my part of the world. Perhaps the bigger leagues are dressed with better toppings – with music, refreshment, games and an evening out – of the simple game it is: fast, high adrenaline and short. The connoisseur might smirk at it and call it names for it may not be a true test of one’s abilities. It is still a test of many abilities. It is still cricket. And runs and wickets matter as they do in other forms. And wins are wins. The thrill of sixes and fours might not whet everybody’s appetite, but they are the skill necessitated in this format – perhaps like tie-break specialists in tennis where ones with greater serves felt at ease. It is still perhaps the best vehicle to take cricket to a larger audience globally even as the top nations struggle to be competitive. Even with many leagues and various strategies, the game throws up more surprises than a Dan Brown paper back. The many positives T20 cricket has brought into the game cannot be ignored. It cannot be forgotten that it has also made the game more popular and more expressive for players and the paying public; perhaps more convenient also for all parties concerned (administrators inclusive). While the administrators and players playing the game have as much responsibility in keeping the sanctity of the game, so do the scribes and television broadcasters that bring the game to the many million living rooms of the games fans. The fans decide what they like to watch – some like more colour and grandeur, others intrigue and soberness, and some others both. It becomes the duty of the custodians of the game to ensure the fans of the game are not left cheated in the end – selling the game to corrupt and selfish officials, players and bookies. If cricket is as much about bonding between players, back slapping in encouragement, swinging to the fences in need of quick runs and knocking down timber in need of wickets, dancing in the streets after a victory or buying the team a round of drinks at the end of a good day’s work, T20 cricket is all that as well. Give credit where it is due. T20 cricket is here to stay. One of the weird aspects of understanding cricket and captaincy is that by the time you’re mature enough to appreciate it, you have much less opportunity to do so. In particular, I was never a fan of Darren Sammy (who was?) – his inclusion in the West Indian squad, at all times, seemed more bemusing than watching Piyush Chawla get out of the Indian team bus today. What seemed easier than trying to decipher the logic behind this was to merely acknowledge his role in fielding a team that has been through a lot of turbulence – I’d even read somewhere that Steve Waugh had called Darren Sammy to offer a few words of advice when he became captain. Was I too young / immature to acknowledge his role? Goutham and I had a chance to say hi to Garry Redman, a Barbadian living in the United Kingdom – we’d spotted him sitting a few rows away from where we were during the game between Ireland and Australia.